In the post–World War II period, students rebelled against the university establishment. In student-led movements, women, minorities, immigrants, and indigenous people demanded that universities adapt to better serve the increasingly heterogeneous public and student bodies. The success of these movements had a profound impact on the intellectual landscape of the twentieth century: out of these efforts were born ethnic studies, women’s studies, and American studies. 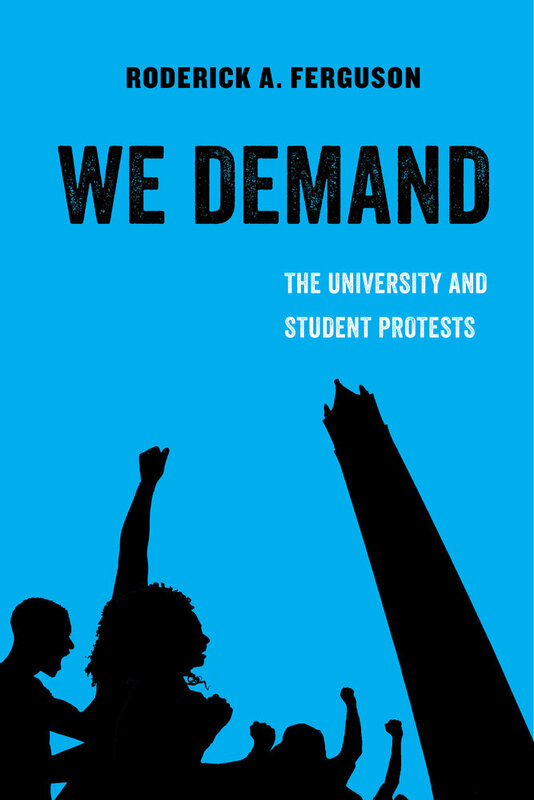 In We Demand, Roderick A. Ferguson demonstrates that less than fifty years since this pivotal shift in the academy, the university is moving away from “the people” in all their diversity. Today the university is refortifying its commitment to the defense of the status quo off campus and the regulation of students, faculty, and staff on campus. The progressive forms of knowledge that the student-led movements demanded and helped to produce are being attacked on every front. Not only is this a reactionary move against the social advances since the ’60s and ’70s—it is part of the larger threat of anti-intellectualism in the United States.